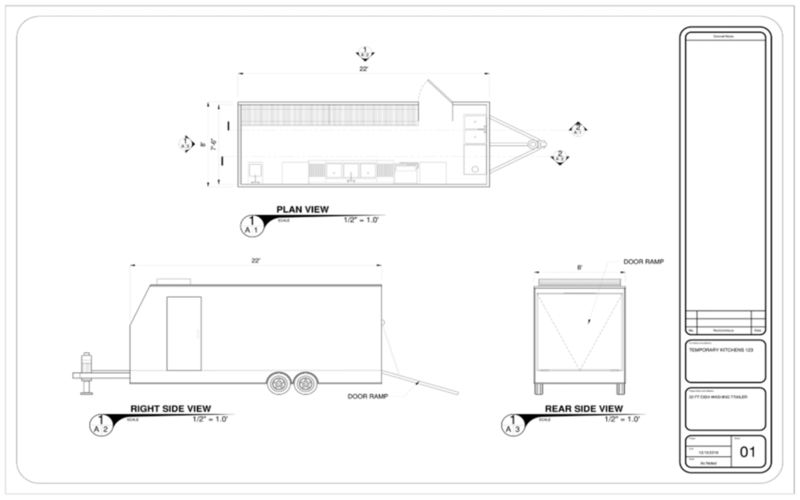 22ft Mobile Dishwashing Trailer | Free Quotes! Our 22ft mobile dishwashing trailer is a combination of electric and propane dishwashing trailer. It is 22 ft Long and 8ft Wide making it easy to fit in most locations. This mobile dishwashing trailer is our second most popular trailer. Why? 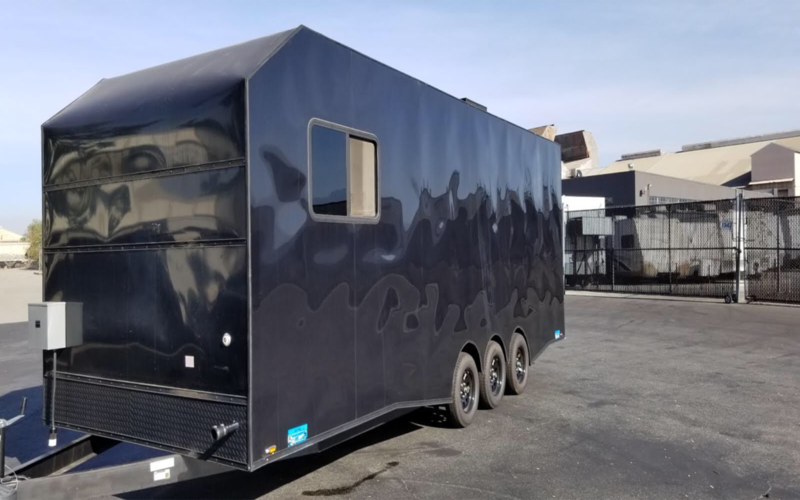 This mobile dishwashing trailer requires a little bit less power amps. All dishwashing trailers need to be connected to a ½ inch water hose bib connection and 6 inch gray water outlet to connect to the city sewer line service. Power requirement is 220V, Single phase, 80 amps. This mobile dishwashing trailer for rent runs both with propane & electricity. This unit uses chemical warewashing with push through low temperature machine.